Anchor Bay dive site features a very large anchor and a long heavy anchor chain attached to it. The anchor is located on the north side of the bay, near the far end of the concrete jetty, around 8 m deep. The chain runs from the anchor towards the innermost end of the bay for several metres. The anchor is about 3 m in length, big enough for a diver to swim under it, and covered with marine growth. 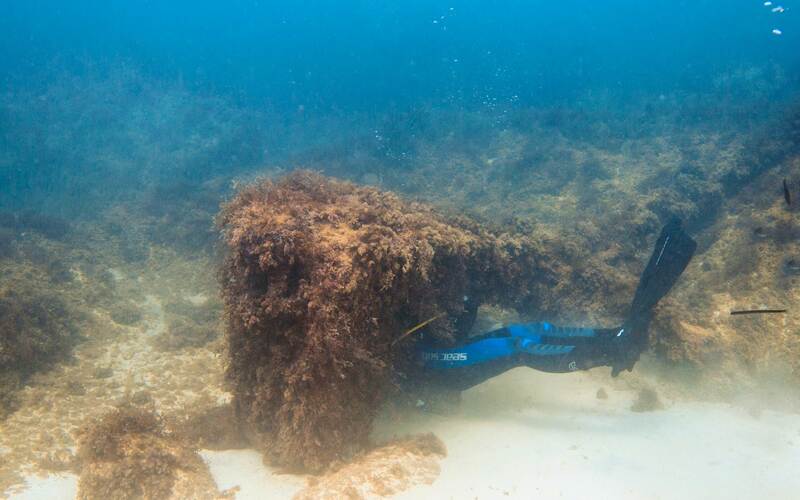 The anchor chain is covered in sand and marine growth in places, but is still visible. ★★☆☆☆ If you're lucky there might be nice sea life, but otherwise the reef & boulders aren't that interesting.